Its amazing to see so many of you on board with the #RuthChallenge having done the #EstherChallenge. For those that still don’t know what it is, don’t worry! The Ruth Challenge is a 4 day challenge, where we read the 4 chapters in the book of Ruth in the Bible! It is not just about reading, I would love for us to share our understanding of what we have read with each other, so as you read, feel free to hashtag #RuthChallenge if you have twitter. In addition, please email biblechallenge@outlook.com with your notes for each chapter, or a summary and I will put it up on this blog page! I read this chapter in The message and New Living Translation as I found a combination of the two easier to understand. MY SHORT SUMMARY: Mama Naomi was playing match maker in this chapter. She wanted the best for her daughter in-law and the one man she had faith in to look after Ruth was Boaz. Not just because of His wealth, but because of his Character. Ruth saw the same, if not I’m sure she wouldn’t have agreed to go to Boaz, especially as I assume he was much older than her. 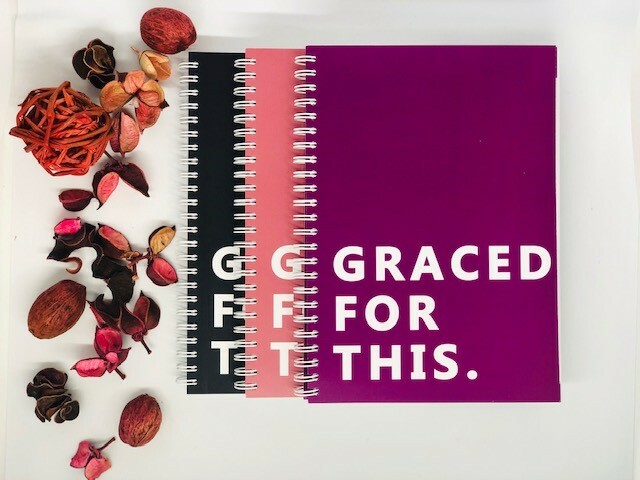 Naomi being the typical mama instructed Ruth to prepare well, best clothes and that Lady One Million scent to go to Boaz at the threshing floor where she would lie at his feet to show her availability for marriage. Boaz was such a gent, He knew that Ruth was the best, probably wanted to have her there and then, but he was noble and adhered to the custom of the land, by offering Ruth to another who he thought was befitting. Boaz sought after Ruth’s best interest, he made sure her reputation remained intact because people would have assumed they’d slept together if they saw Ruth coming out in the morning. He didn’t allow her to go empty handed…he made sure she had food to take back to Naomi. Yet again like the #EstherChallenge, we see how important obedience is. Ruth listened to her mother in law and she was obedient to her instruction. 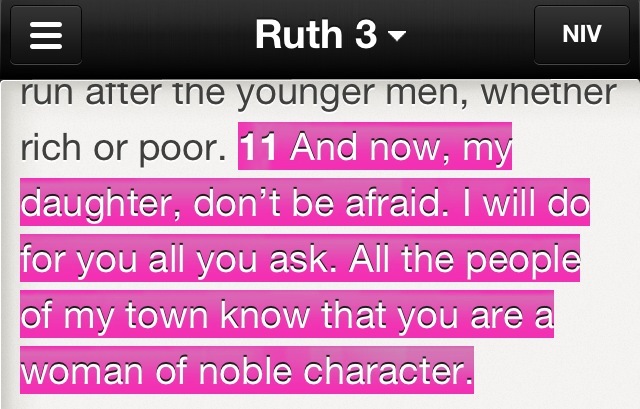 Also, similar to Esther, Ruth had to prepare before going to meet the one she desired to call her husband. We actually have to prepare well well before seeking those things that we say we ‘desire’ because it is in our preparation that we will truly know whether it is worth seeking after. This goes for anything in life, whether we’re seeking godly relationships or good grades in our studies, they require preparation, and sometimes an elder like Nay to guide and advice you. I say SOMETIMES, because Naomi’s advice/instruction in my opinion was a bit too extreme. She basically instructed Ruth to do anything Boaz asked her to do…which could have been A-N-Y-THING! Praise God it wasn’t. But it just shows that we should be careful of the advice we take. Yes, Naomi loved her daughter in-law and wanted the best for her, but lets remember what we learned from the Esther Challenge. You should evaluate the advice you receive from another by considering their personal relationship with God. Naomi’s spiritual condition in chapter 1 is far from encouraging. By her own confession, she is bitter, accusing God of being harsh with her. That should make us cautious. THINK:Is the counsel I am being given coming directly from the Words of Scripture, or is it the opinion of the adviser? We all were probably reading this chapter thinking oh no…I hope they don’t do what they shouldn’t do loool. We thank God that both Boaz and Ruth remained godly in a situation that could have easily turned into something else. It shows their strength of character! This should be an encouragement for us, Godly character should be evident in ungodly settings. We’re living in an age whereby ungodliness is everywhere, but we need to be that light. Light leaves no room for darkness. Lets take over! Matthew 5:13-16. What male in this generation given the opportunity to do anything with a woman you desired wouldn’t take advantage? Very Few. To our men, this is the standard for you. You should be the kind of moral leader who takes the moral high ground, protecting the purity and reputation of the women you associate yourself with. This is what real manhood is about. Your Queen will come. 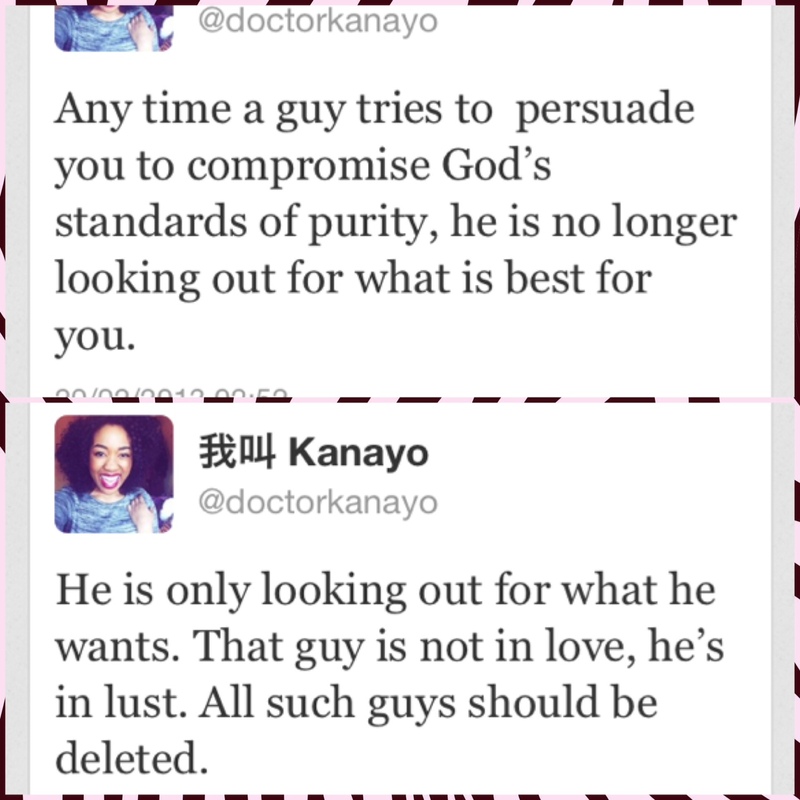 Likewise, Ladies please do not compromise yourself or God’s standards just to get attention from a guy. Let the attention you receive from any man, be attention that stems from your inner beauty, grace, character and virtue. Your King will come. Thank you dear! Is there any part in particular that you would like me to elaborate on?